Mohamed Salah (£13.4m) looks set to continue as the top captain pick in Gameweek 23 of Fantasy Premier League. The Liverpool midfielder was handed the armband by over 1.5m managers for his trip to Brighton & Hove Albion last weekend. 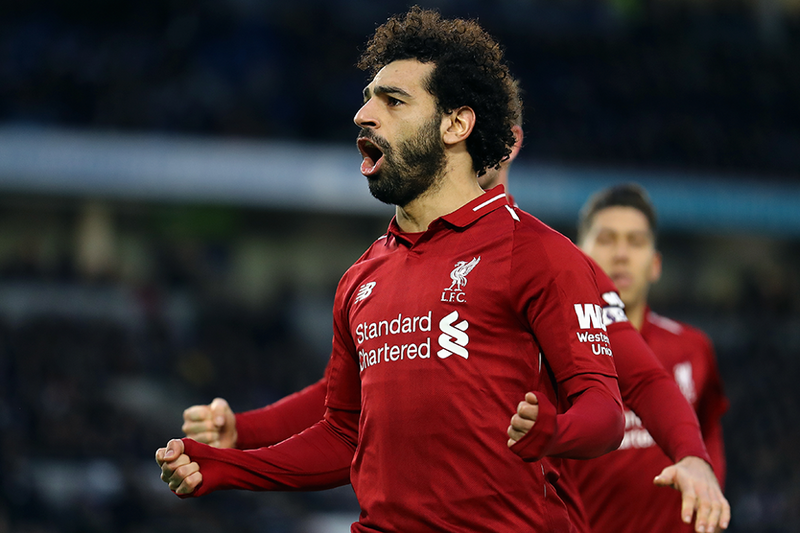 And Salah rewarded his backers with an 11-point haul at the Amex Stadium, his fifth double-figure return in seven Gameweeks. A visit from Crystal Palace on Saturday will enhance his FPL potential once again. Salah has averaged 7.9 points per home match this season. And he has one goal and two assists over his last two Premier League encounters with the Eagles. Two of Salah's team-mates could, however, offer alternatives. Left-back Andrew Robertson (£6.7m) has produced 6.7 points per match at Anfield. And Roberto Firmino (£9.3m) has scored four of his eight goals for the season in the last three Gameweeks. Manchester United duo Marcus Rashford (£7.5m) and Paul Pogba (£8.5m) also have the form to pose a major challenge to Salah. They are the two most-bought players in FPL ahead of their home match against Brighton. Rashford has been snapped up by a massive 530,000 managers for Gameweek 23. He has produced four goals, two assists and 38 FPL points in five matches under caretaker manager Ole Gunnar Solskjaer. And more than 300,000 have transferred in Pogba, who has four goals, five assists and 54 FPL points in the same period.